In Just Spirituality, Mae Elise Cannon examines the connection between reflective spiritual disciplines and activist movements for social change. These two ways of engaging Christian life and faith might seem inherently in tension—and indeed, Cannon acknowledges her own struggle to remain “spiritually centered” in the midst of her “fast-paced life” as a Christian leader and activist (10). 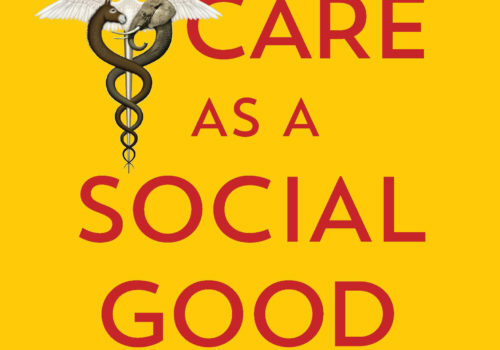 Citing Richard Foster, Cannon notes that the social justice tradition in Christianity, though strong in its call to care for social need, may overlook the importance of cultivating the soul or attending to one’s heart condition. 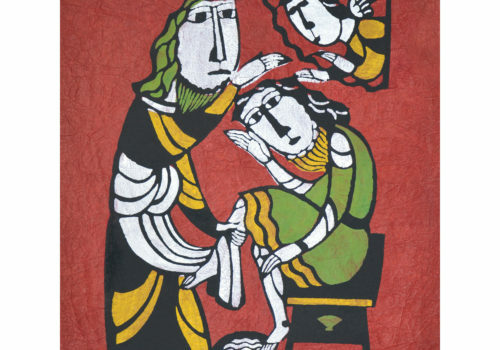 To counter this imbalance, Just Spirituality offers brief biographies of Christian leaders whose lives are marked both by the practice of spiritual disciplines and by inspiring achievement in movements of compassion and justice. 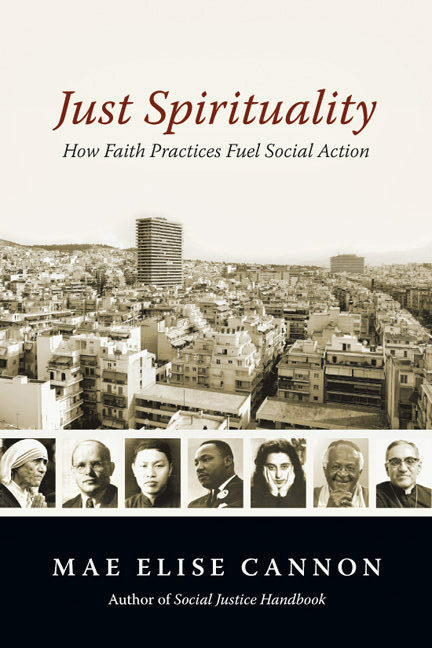 Undergirding the book is a vision of “justice-oriented spirituality,” a cyclical process of reflection and action in which spiritual practices and social engagement are mutually reinforcing and equally vital components in Christian faith (15). Still, Cannon’s main concern here is to assert the necessity of spiritual disciplines to a life of sustainable activism and, more broadly, to fruitful movements for social change. The book’s subtitle effectively summarizes her thesis: that “disciplines—such as silence, prayer, study, community, worship, sabbath and submission—provide the fuel by which people are inspired to make a difference in the world” (11). She concludes with an even stronger insistence on the empowering effect of these contemplative disciplines, presenting them as “the framework by which true and lasting change can occur” (175). Cannon builds her argument through narrative example. Seven chapters comprise the heart of the book. Each draws a biographical sketch of a (usually well-known) historic Christian leader and highlights a particular spiritual discipline that shaped this leader’s ministry and advocacy. To supplement these focal portraits, Cannon interviewed seven contemporary Christian ministers and activists—in her words, “ordinary people doing amazing things” (12)—who also practice these disciplines. 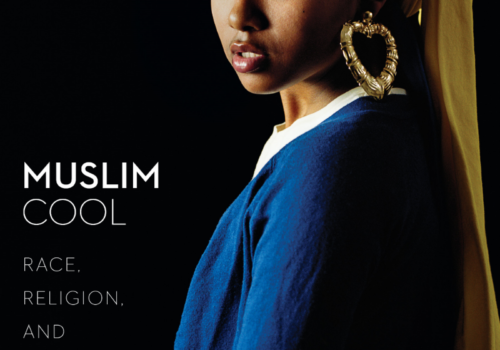 So each chapter includes both a historic and a modern-day example of an individual integrating a faith practice with social engagement. Finally, each chapter concludes with “contemporary praxis,” concrete suggestions for how readers might apply that chapter’s highlighted discipline. Just Spirituality displays a welcome sensitivity to the global nature of the Christian church and to the diverse ways spiritual disciplines and social engagement may be practiced. The seven featured biographical profiles span the twentieth-century and come from around the world: Mother Teresa (India), Dietrich Bonhoeffer (Germany), Watchman Nee (China), Martin Luther King, Jr. (United States), Fairuz (Lebanon), Desmond Tutu (South Africa) and Oscar Romero (El Salvador). Likewise, the book’s depiction of “social action” includes a range of activities, from charitable service to nonviolent activism, from public witness to political leadership, from evangelistic sharing of the gospel to prophetic protest of unjust regimes. 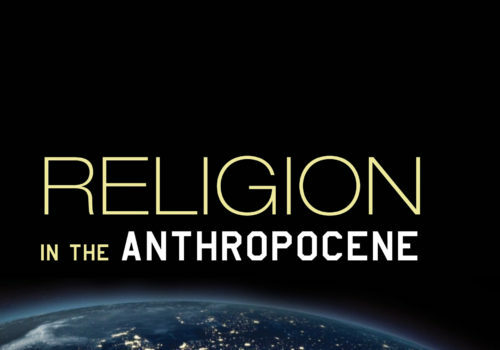 While this breadth of attention helps Cannon create a more multi-faceted examination of the relationship between spirituality and activism—and offers readers a wider possibility of models to follow and disciplines to try—it also gives rise to the book’s limitations. There is too much material here to allow for substantial discussion of any one figure or discipline. Further, the connections Cannon wants to draw in each chapter from a spiritual discipline to leadership in social action (as expressed in the chapter titles) often appear dispersed and vague, loosely associative rather than clearly or persuasively demonstrated. For example, chapter 4 is entitled “Martin Luther King Jr.: From Community to Proclamation.” Yet beyond gesturing toward King’s emphasis on “beloved community,” Cannon does not clarify what form the practice of community actually took in King’s life, nor how it fueled his activism for civil rights. Similarly, the next chapter intends to portray Lebanese singer Fairuz’s movement “from worship to freedom” but remains vague about what kind of social action “freedom” constitutes. Cannon depicts Fairuz as a popular, perhaps influential, performer and artist—yet readers may be left wondering how Fairuz’s “heart for justice” (112) gets enacted in social engagement or empowered through practices of worship. Some of the book’s chapters highlight more sharply defined practices and actions. The first two chapters, “Mother Teresa: From Silence to Service” and “Dietrich Bonhoeffer: From Prayer to Discipleship,” seem more effective in showing how consistent spiritual practice can shape a person’s spirit in ways that fortify social and political leadership. However, by trying to pattern all her chapters “from” practice “to” action, Cannon has given herself a structure that ends up feeling more constraining than illuminating. It does not always fit her material, and the wealth of included examples results in an argument that seems scattered and limited in depth.